“Fantastic item and so helpful, even as a reminder. Kristina was extremely communicative and helpful through the transaction as well. Thank you so much!”-Trisha, Chicago, IL. The new design launch announcement on MyIslamicLife. “Wa alaikum Salam! I received the clings! They’re already up being used by my kid. Thanks so much! 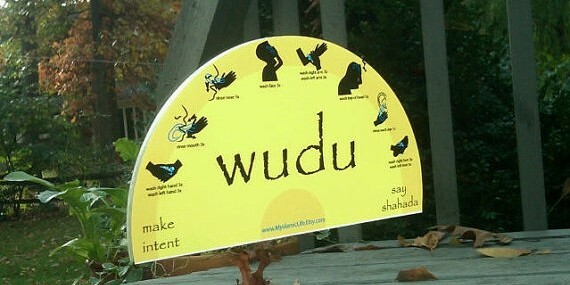 “I loved the Wudu clings that I ordered! I want to get some for my Son’s Islamic school and possibly even order a large quantity for a school fundraiser! ” – Rania F.
“Easy to hang up and move around” – Ana S.
“What a great find! My kids love it! I’m going to order a few more as Eid gifts for friends iA” – Samia M.